Gellert offers wireless and automated control solutions to the industries we serve. 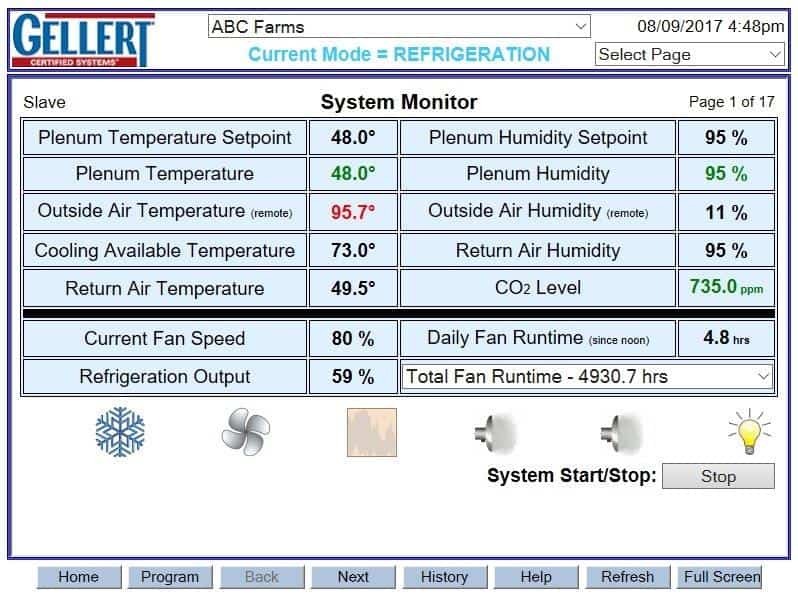 Whether you’re an Agriculture operation that needs Post Harvest control, a Beekeeper looking for a wireless solution or a Greenhouse who wants segmented climate control of each area of the Nursery or Grow Room, Gellert’s Agri-Star Control Panels are fully-adaptable to your environment. The panels success comes from application specific sensors strategically placed in and outside of the facility. 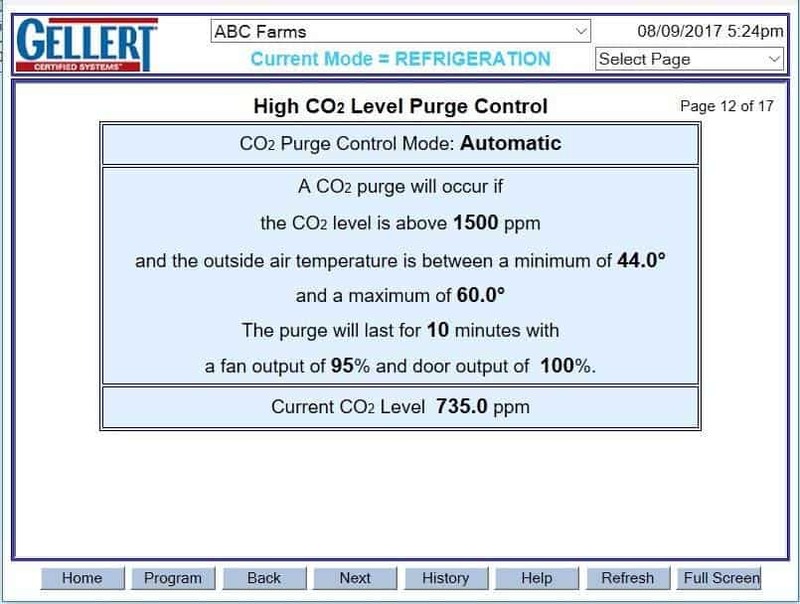 Each internal sensor detects variations of climate in that room and reports back to the panel. The external sensors are also constantly measuring outdoor climate conditions and reporting back to the panel. 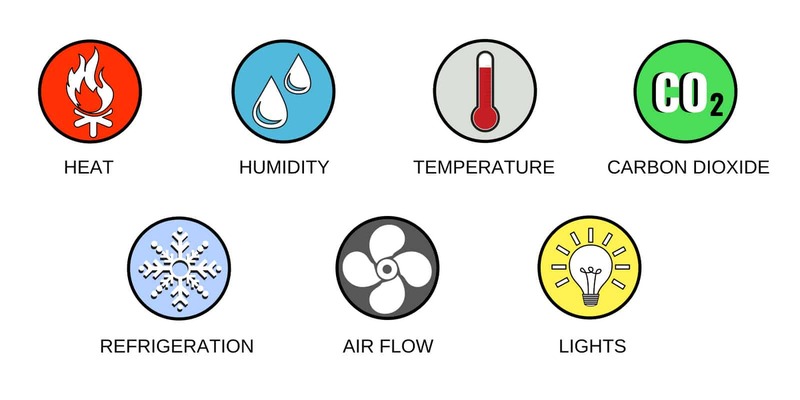 When the panel sees optimum outdoor conditions, it will engage efficiency options and will control doors to provide natural temperature and humidity. Improvements in both sensor technology and control components allows the panel to integrally respond to the information it receives. 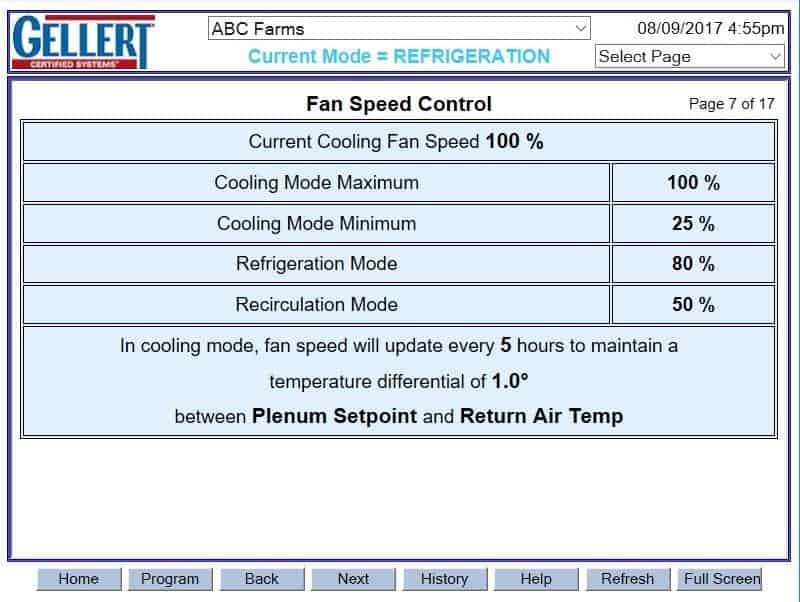 This means more precise control of your application and quality grow and holding conditions can be met. It also reports to phones and tablets through onboard iOS and Android Apps with basic dashboard information being viewed vertically. As the phone is flipped horizontally an expanded view is visibile. Adjustments and reporting can be made on the fly anywhere there is a wireless connection. There is no limit to Featuring standard on-board features of control but with the ability to add-on additional points of control for each panel. 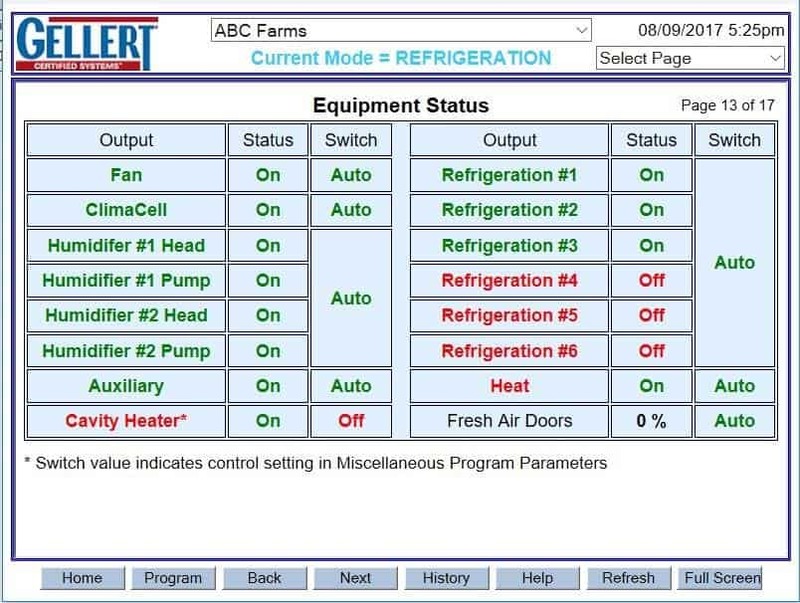 Each panel solution includes access to our wireless Intuitive App, your controls and visibility are at your fingertips 24/7 365 days a year! 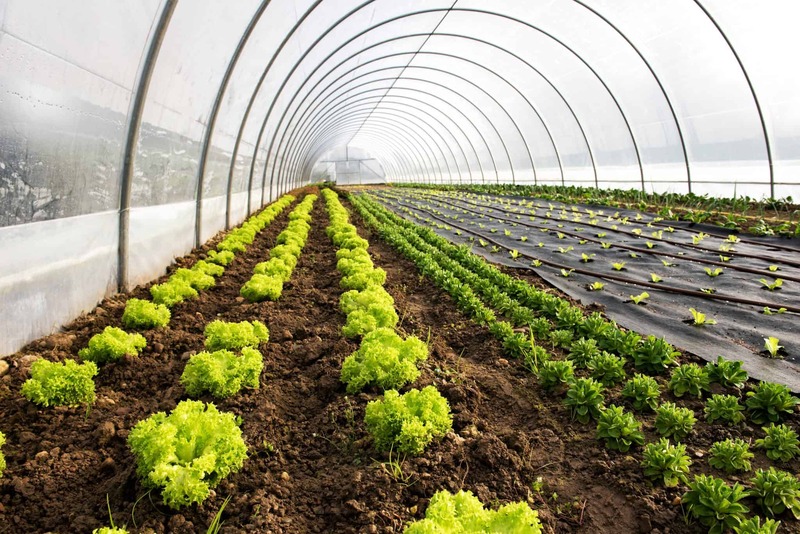 Agriculture likes it for it’s segmented or Bulk Management capabilities, large Farm Operations appreciate having visibility up and down the storage chain and a standardized method to holding produce. 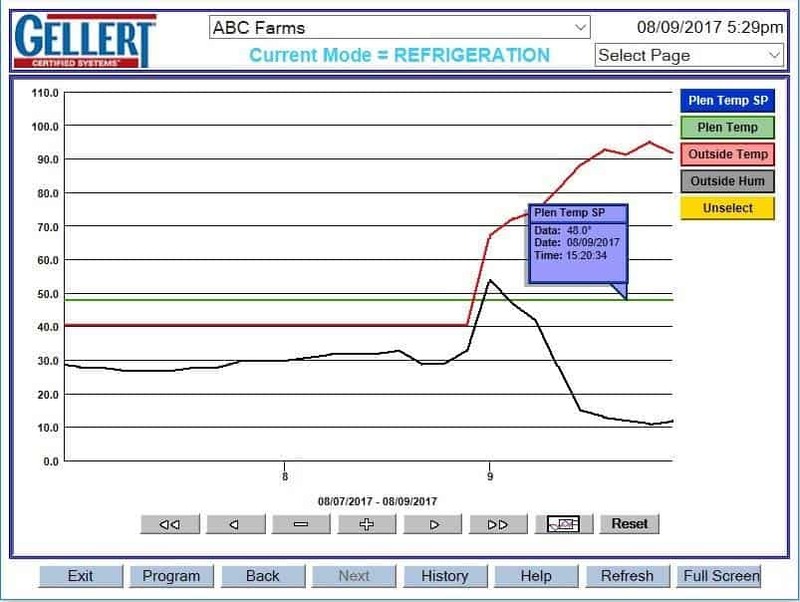 The powerful tools like historical data reporting and graphing can be integrated into your current operations software. The reporting tools offer multiple timeline trend views for forward looking planning and more. Contact Gellert or a Gellert Dealer for a live demo. We are Marketed Globally, Manufactured at Home, and Trusted Everywhere. Our Native Panel comes with an Interactive User-Friendly Touch Screen for Single System Control. It is simple to set up and east to use. Our GDC (Gellert Door Controller) can be added to this model. Comes internet-ready. The newly designed Controller is a perfect fit for those tight areas where space is a concern. It incorporates complete controls for two separate sets of equipment. The GDC(s) can be added to this Model. This controller has all the same design features as our standard Agri-Star, including easy programming and a responsive Touch Screen. Our most recent Panel offers all the same control features, without the touch screen. 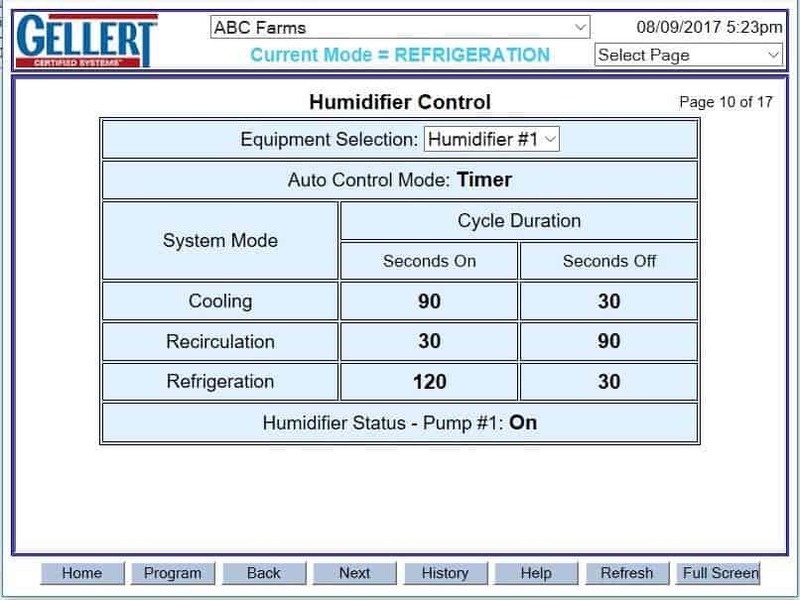 User interface is easily accessible from a PC or our Android or iOS apps. This panel is an affordable option for those smaller systems storages, or for the more segmented approach to bins or bays. You Asked – We Delivered! 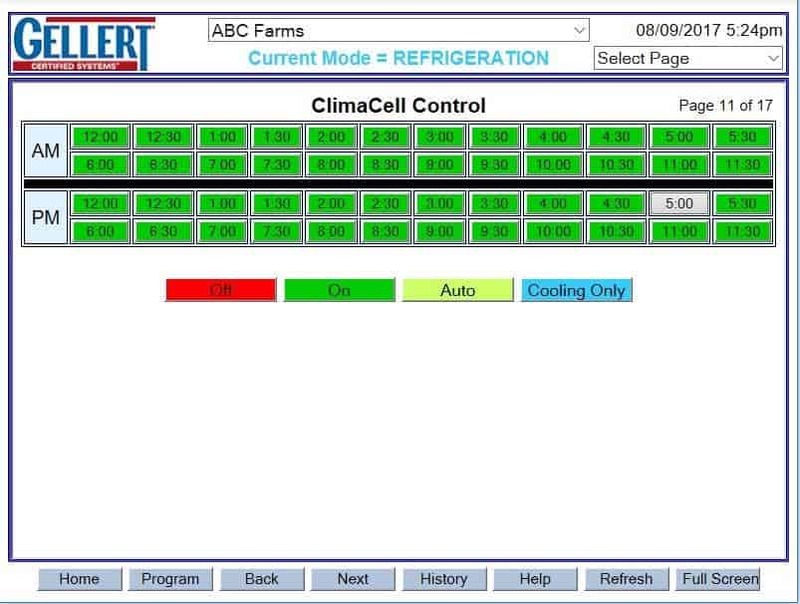 With Gellert’s Intuitive App for your Agri-Star Panel, you can have visibility and control of all aspects of your climate. We can also be your Internet Service Provider. Let us assist in getting your storage or other facilities set up with remote connectivity. Then – we can help manage your network. 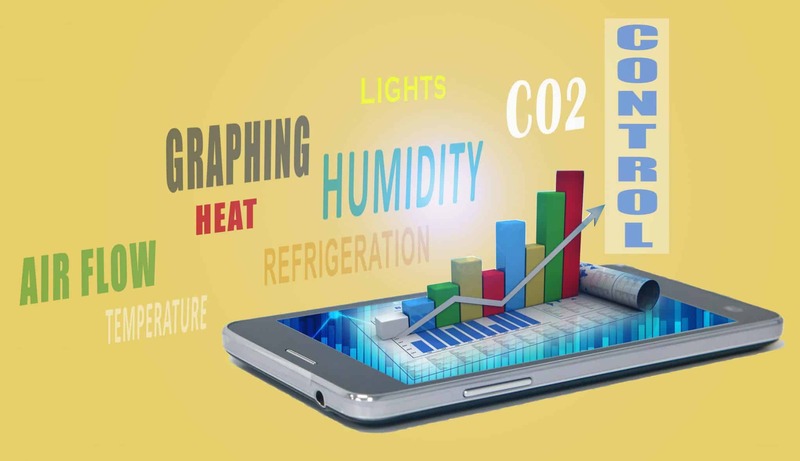 Ask us for more information on how to simplify your environment with our internet services. A small sample of the Menu Screens you’ll experience with our User-Friendly Interactive Touch Screen. All of our menus have full sentence instructions – no abbreviations or confusing symbols! 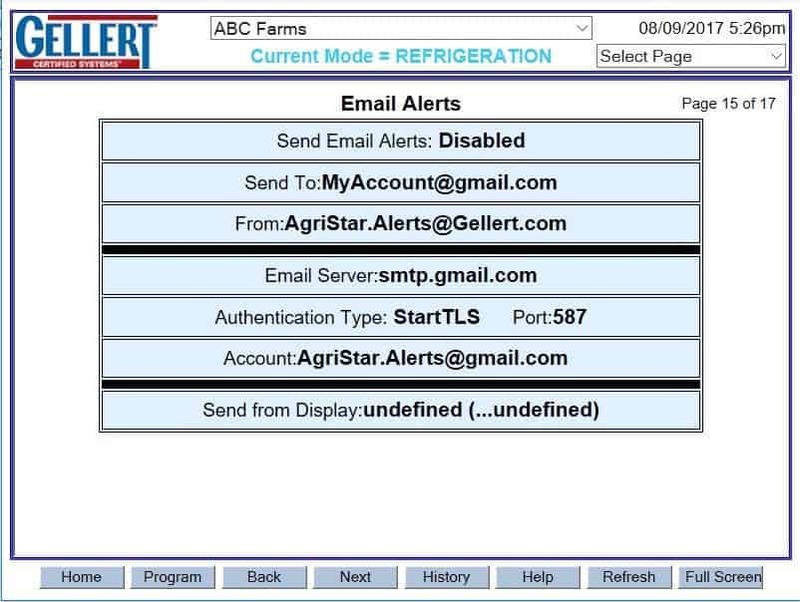 Our customers rely on the Agri-Star Panel’s reporting and graphing capabilities to access performance trends over time. 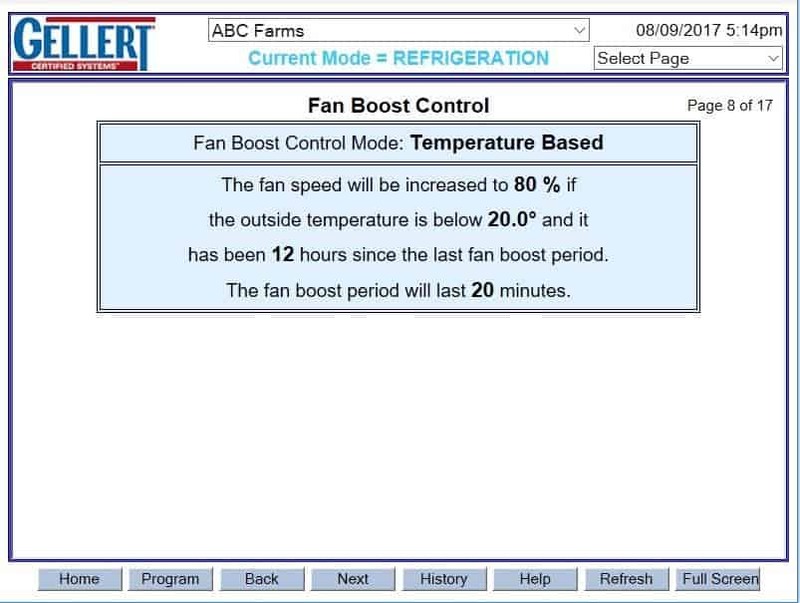 This analysis allows for future planning and adjustments to a customer’s Field and Storage operations. Improvements in data integration gives our customers “now” information that they can immediately act on – and develop proactive (as opposed to reactive) strategies to their storage.